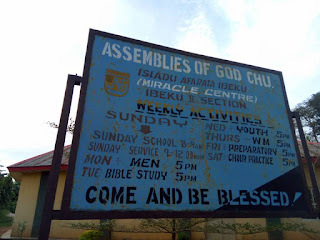 Angry Worshipers of Assemblies Of God Church located in ISIADU AFARATA Ibeku in Ibeku 2 Section has thrown out the Properties of their Pastor Rev Chinedu Jumbo Azubuike from the Church Building vowing never to allow him step his feet in the Church. According to DEACON Obinna Ubani,the Members of Assemblies Of God Church in Isiadu Ibeku are fed up with the activities of Chinedu Jumbo Azubuike who they said deceived them into pledging Loyalty to Chief Paul Emeka . 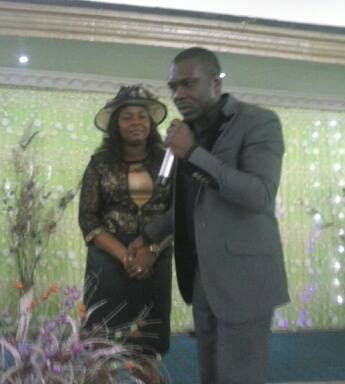 It was gathered that the Deacons of the Church had given Chinedu Jumbo Azubuike September ending to pack out from the Church but after the expiration of SEPTEMBER,Chinedu came to beg them allow him stay till December 2016,a development which got the Church board angry. The Church has finally Declared Loyalty to the General Council of Assemblies Of God Leadership led by Rev Dr Chidi Okoroafor.